Antonio Vivaldi was an Italian composer, conductor and virtuoso violinist. He is recognized as one of the greatest Baroque [bah-ROKE] composers, along with Handel and Bach. Vivaldi is known mainly for composing violin concertos [con-CHAIR-toes]. His best-known work is a set of four concertos called The Four Seasons, which are titled "Winter", "Spring", "Summer" and "Fall". This week we will be studying the musical form, concerto. A concerto is a composition for an instrumental soloist and orchestra. It has three sections which are called movements. The first movement is fast, bold and energetic. The second movement is slow, calm and peaceful. The third movement is fast, lively and sometimes dance-like. Baroque concertos last about 10 minutes. 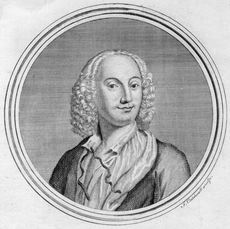 Vivaldi is important because he was one of the first composers to write program music, instrumental music that is associated with a story, poem, idea, or scene. The music has a written program describing what it is about, and the music will somehow portray that subject. La Primavera was based on a poem stating: "spring has come"; "birds sing happy songs"; "murmuring streams flow along"; and, "the sky is covered with a black cloak, with thunder and lightning". 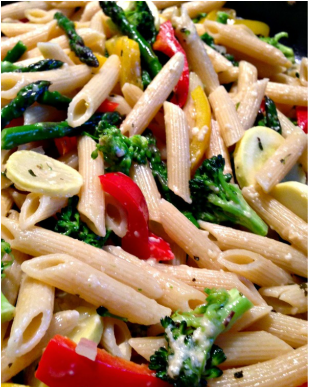 La Primavera was a great favorite during Vivaldi's time, and it is still popular today. You might have heard this music in commercials, TV shows, films, or even ringtones. LISTEN FOR . . .
Today we will hear the first 30 seconds of music. This is the main theme, called a ritornello [rih-tore-nell-oh]. It is sort of like a refrain because it keeps reappearing in the music. It is a lively, bouncy theme announcing "Spring has come". ** NOTE: The keyboard instrument you see in the video is a harpsichord. Pianos were not yet invented in the Baroque period. Baroque - a style of music lasting from 1600-1750. During this period, major and minor scales were established as well has modern day harmony and rhythms. Concerto - a form of instrumental music consisting of three movements: (1) fast, (2) slow, (3) fast. A soloist or small solo group alternates with the full orchestra. Program music - instrumental music associated with a story, poem, idea, or scene. Program music is often found in the romantic period. Movement - a short section of an extended piece of music. Concertos have three movements. Symphonies have four movements. Each movement has its own speed and character. Ritornello - the main theme of a concerto, similar to a refrain. It is heard at the beginning of the composition and reappears throughout the music in its entirety or in short excerpts. Vivaldi was born in Venice and soon followed in his father's footsteps playing the violin. Along with his music studies, he prepared to be a priest in the Catholic church. But at age 25, poor health caused him to leave the ministry. Because of his religious background and his red hair, Vivaldi was known as the "red priest". Vivaldi was famous and influential as a virtuoso violinist. He explored the capabilities of the violin and other instruments. Baroque composers often transcribed Vivaldi's music so it could be played on different instruments. Bach transcribed several of Vivaldi's concertos for organ. 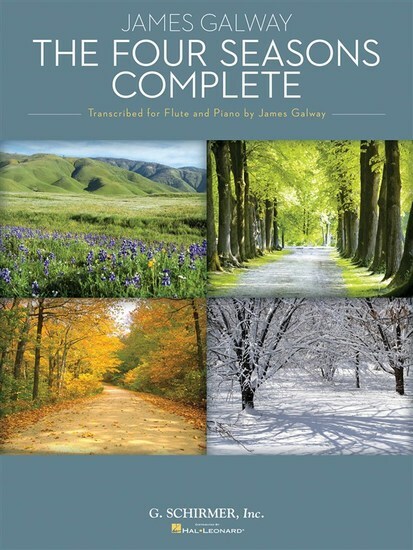 The Four Seasons concertos are musical imagery of nature. In the 1700's, they were a revolution in music because they represented flowing creeks, singing birds, barking dogs, buzzing mosquitoes, crying shepherds, storms, frozen landscapes and warm winter fires. Each concerto is associated with a sonnet describing what you hear in the music. Today's listening example is the section of La Primavera called "Song of the birds". This music is characterized by a solo violin joined by two other violins from the orchestra. They play repeated notes (birds chirping), short descending scale runs, and high trills (birds warbling). A trill is a type of ornament where a player alternates rapidly between two pitches next to each other in the scale. This section ends with part of the ritornello theme. Youtube video - La Primavera, Mvmt. 1, "Song of the Birds" (00:27 - 01:19 minutes) Still photos. Virtuoso - a performer who is highly skilled at playing an instrument or singing. Sonnet - a poem of 14 lines, usually having 10 syllables per line. Trill - a musical ornament where the player alternates rapidly between two tones next to each other in the scale. For most of his life, Vivaldi worked at the music school of the Pieta [pea-A-tah], a girls' orphanage in Venice. He taught music and composed for about forty young women attending the school. Every Sunday and holiday the young ladies presented a concert of orchestral and vocal music in the chapel. They were seated up in a gallery and hidden from public view by a lattice screen, thus ensuring their privacy. This all-female group was one of the finest orchestras in Italy. Their concerts were a big attraction for people visiting Venice while touring Europe. Today's listening example is another demonstration of Vivaldi's use of musical tone painting to create an image for the listener. This section of La Primavera is labeled "Murmuring streams". In this segment, murmuring streams are suggested by soft, quick "running notes" in the violins and cellos. We also hear longer sustained tones over the running notes. A brief part of the ritornello closes this section and makes a seamless transition into the next section. Lattice - a pattern of wooden strips put together in an overlapping crisscross design. Pie crusts are sometimes made in a lattice pattern so the fruit filling shows through. Tone painting - using different music techniques and sounds to create imagery in music. Music at a European royal court. Vivaldi sometimes took leave of absence from his teaching position at the Pieta music school so he could visit the courts of foreign royalty. That way he could hear what other musicians in Europe were composing. 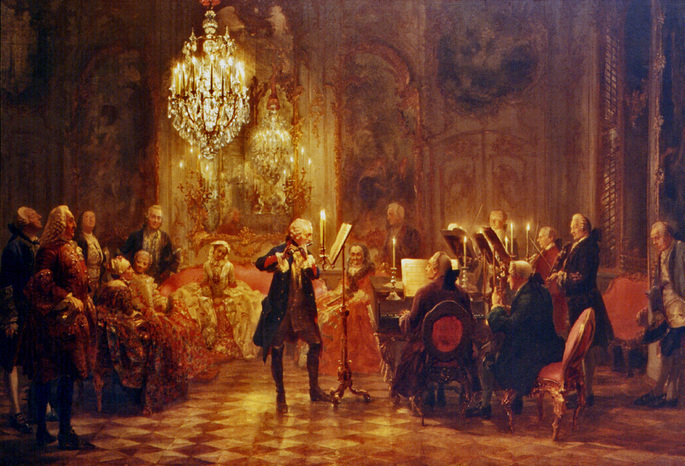 Vivaldi's fans and patrons included members of European royal families. Some of his works were commissioned by King Louis XV of France. Some of his music was played at the king's wedding. Vivaldi's concertos were written for flute, piccolo, cello, bassoon, and even mandolin. His fast movements have tuneful themes with lively rhythms. His slow movements have beautiful, songlike melodies that sound like they could be in an opera. 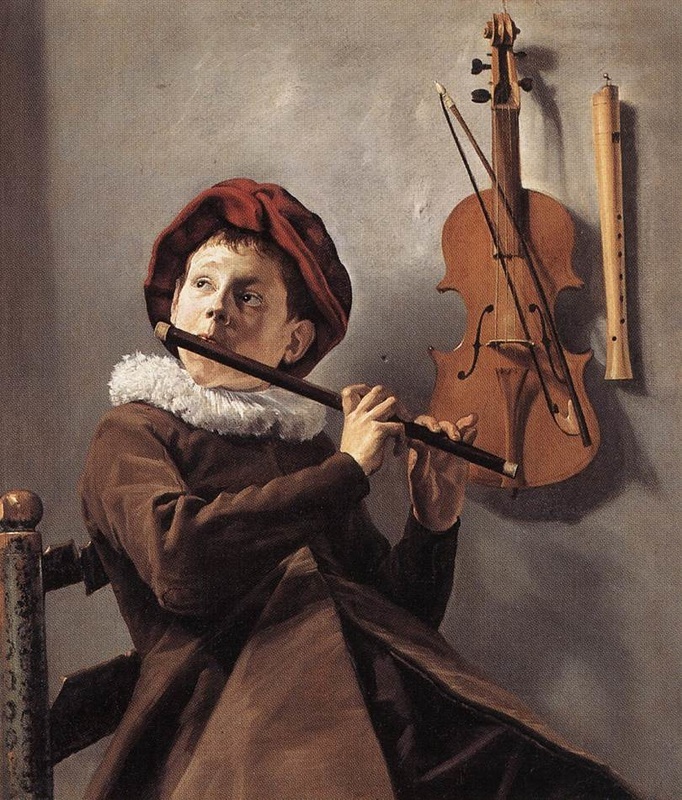 One of the most important characteristics of Baroque music and artwork is the use of contrasts. In music, these are dynamics (loud and soft), texture (a solo instrument versus the full orchestra, and tone colors (unique sounds produced by instruments). Just like in a painting, these contrasts are what make Vivaldi's works interesting. 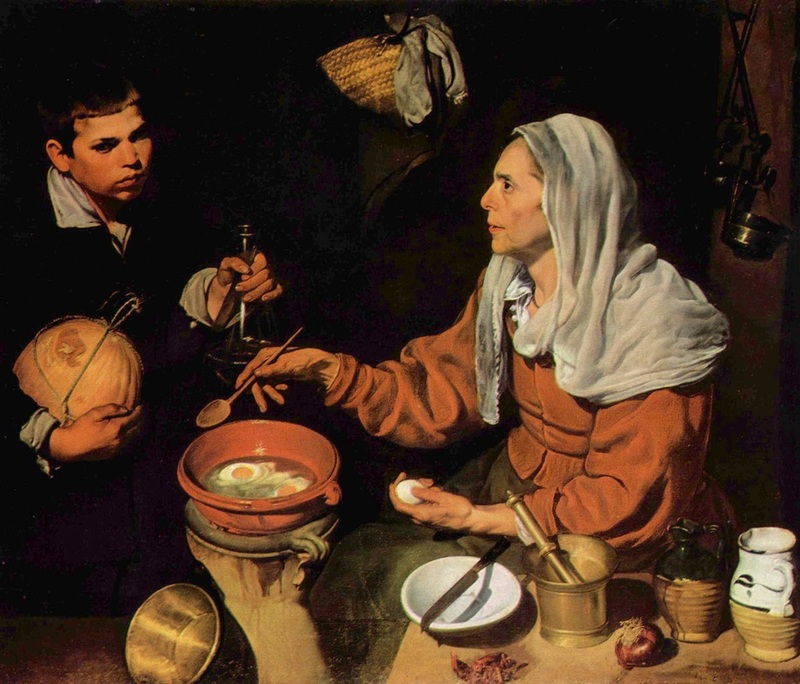 Baroque art and music use contrast. Our listening example today is called "Thunder and lightning". To create this sound of nature, the strings play tremolos, rapid repetitions of a single note. This creates suspense in the music, sort of like a drum roll. To create the effect of lightning zigzagging across the sky, a violin plays upward rushing scales and brilliant virtuoso passages. Following the storm, the birds cautiously return to their singing, this time in a minor key instead of a major key. This changes the mood of the music to reflect the tension of the storm. The first movement ends with the ritornello. Tremolo - a rapid repetition of a single note; for string instruments, a quick up-and-down motion of the bow. Minor key - a scale with the third and sixth steps flatted (or, lowered); this gives the music a more thoughtful, sad or tense mood. During Vivaldi’s lifetime, he was very popular throughout Europe. But like other composers, after his death, his popularity faded as music styles changed. When the Baroque period ended, his works were largely ignored, and The Four Seasons was unknown during the Classical and Romantic periods. But in the 20th century, an academic study was begun that led to discovery of hundreds of Vivaldi’s concertos and other works. They are now in the National University Library in Turin, Italy. These discoveries sparked an interest in the composer, and his reputation was revived. Since World War II, Vivaldi’s compositions have enjoyed wide success. They are often performed on original or Baroque style instruments. Teeth chattering in the bitter chill. 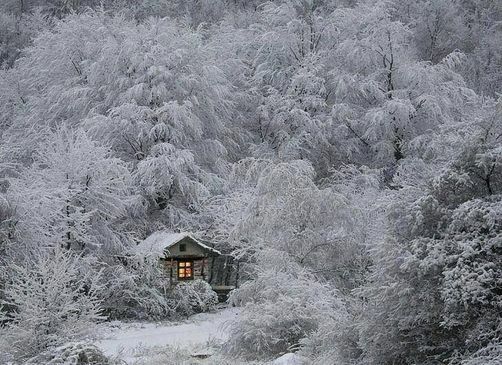 Our listening example is from the first movement of L’inverno, or Winter. It begins with short, clashing chords to set the mood of crisp cold. They gradually get louder as the cold feels more intense. Then trills create the image of shivering and chattering teeth. A fast rhythm pattern could be someone stomping their feet to warm them. Youtube video - L'inverno (Winter), First Mvmt., piano version (3:50 min.) The entire concerto lasts 9:09 min.